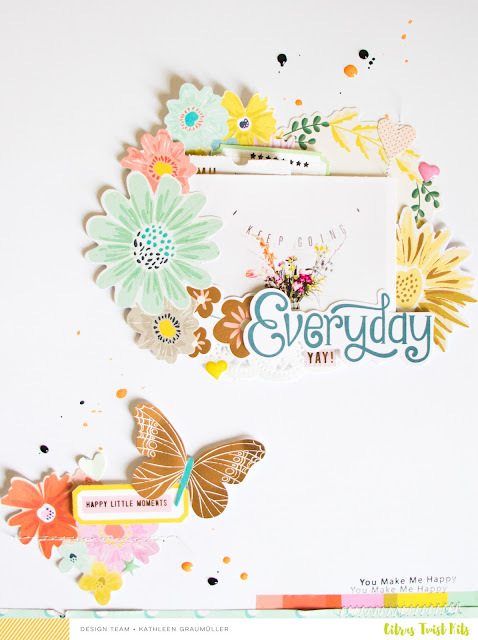 I used the October Scrapbook Main kit "Good Vibes" (and a small piece of a washi strip from the Embellishment kit). 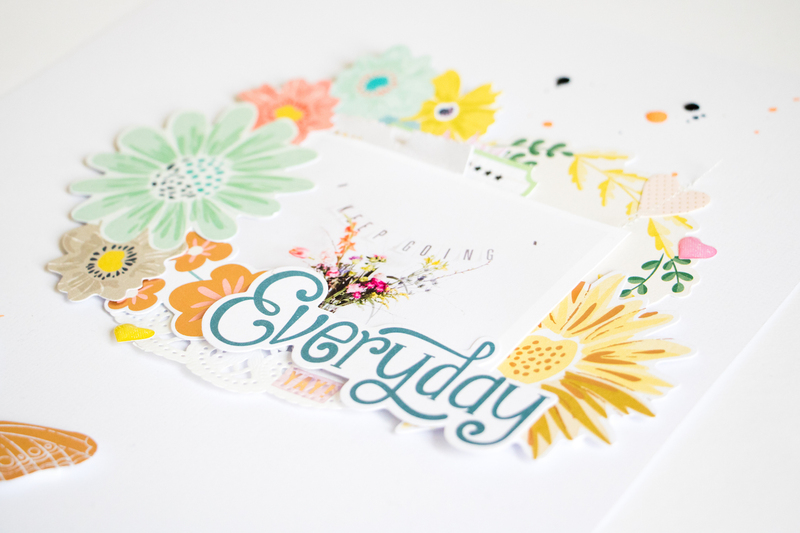 The floral diecuts from the ephemera pack were perfect for this photo. Because I couldn't decide which ones to use, I thought I should just use them all and put them around my photo (and one floral piece in the lower left corner of the page). 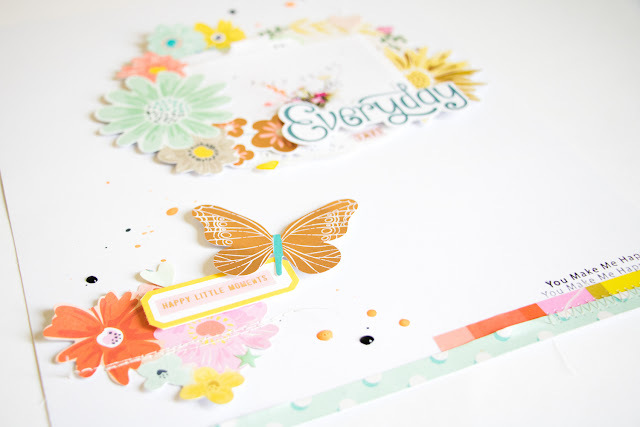 Using lots of die cuts or stickers in one place makes it very easy to add some dimension to your layout since you can let them peek out behind another piece or your photo etc. I also use foam dots to add more dimension. Alright, that's it for today. I hope you like my layout and the prompts and give it a go! I would love to see your creations! You can share them with us here in the gallery and/or our Facebook Forum. This layout is very pretty !